Why Greek? — IOTA DELTA CHAPTER OF PHI BETA SIGMA FRATERNITY INC. 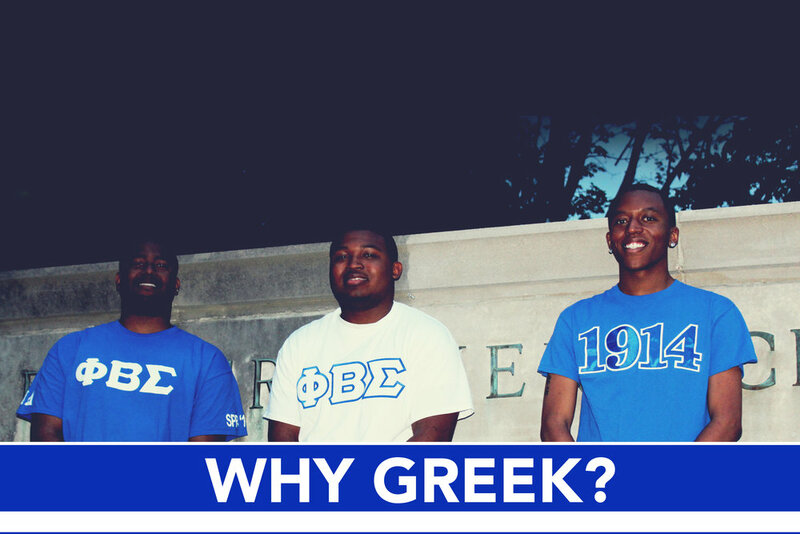 Joining Phi Beta Sigma (or similar organizations that belong to the National Pan-Hellenic Council or Multicultural Greek Council) is a lifelong commitment. While some organizations on campus only hold membership for collegiate (undergraduate) students, membership within Phi Beta Sigma is a conduit for all age groups of men who are currently enrolled in or have attended college, making it one of the largest vessels of college-educated professionals. Phi Beta Sigma is a Brotherhood composed of approximately 150,000 members worldwide. Among these Brothers exists members who hold designations as doctors, lawyers, engineers, law enforcement, college and university presidents, professors, scientists, politicians, and many more. The possibilities for personal and professional leadership development, as well as career and networking opportunities are almost endless when you take into account the impact of a Brotherhood of this size. Phi Beta Sigma's motto is "Culture for Service and Service for Humanity" identifying the Fraternity’s true mission and purpose of serving others. It is the focal point of our organization and continues to be the driving force that fraternities and sororities stand by. Annually, Phi Beta Sigma serves thousands of community service hours aimed at enriching our communities. The Iota Delta chapter of Phi Beta Sigma Fraternity, Incorporated at Eastern Kentucky University has had a 100% graduation rate since re-chartering on the campus in 2006. Our alumni have went on to attain advanced degrees and are pillars within their chosen career fields. Overall, the Fraternity/Sorority community continues to have a higher grade point average than their unaffiliated peers. Joining a Fraternity or Sorority should not be a hindrance on your academic pursuits, but rather supplementing those pursuits in a positive fashion While we enjoy the company of others, we are in school for the purpose of attaining a degree.